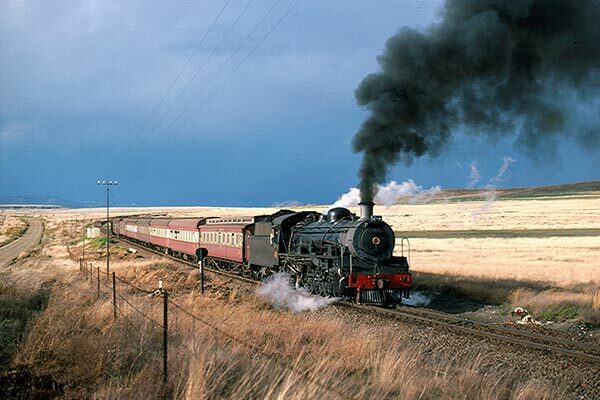 Caption - South African Railways (SAR) 19D class 4-8-2 2723 leaves Withoogte with the daily Maclear to Sterkstroom passenger in May 1976. The loco was very well maintained and typical of all the 19Ds used on the line in 1976. This was my first of many visits to this scenic branch which traversed some superb scenery.